Celebrate the Spring Equinox with this creative yoga flow! 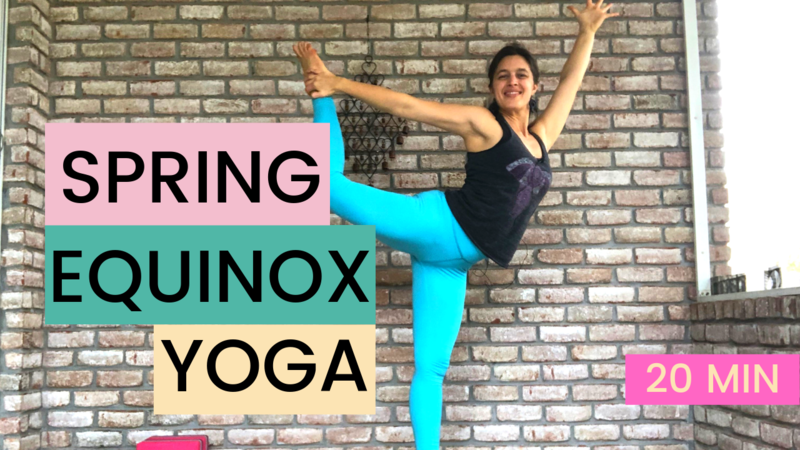 This spring equinox yoga class will have you moving and grooving in some fun, fluid, playful ways. The spring equinox is the tipping point between winter and summer. The word “equinox” means “equal night, so the amount of sunlight is equal to the amount of daylight. In this practice, you’ll move through some balancing flows that create a tipping point within your body. A place suspended between support and flight. You’ll do a series of stabilizing hip openers, to give you the strong anchor of the earth. You’ll also combine those steady poses with some fluid movement, twists, and balancing poses to give you that sense of playfulness that spring brings with it. There will be a few surprises in this class, too. It will definitely keep you on your toes. Like any good spring equinox yoga class, you’ll have as much opportunity to wind down as you do with the build up. Lots of sweet cool down poses to balance out the intensity of the flows. Enjoy this really fun, really energizing, and really creative yoga practice to celebrate the new season ahead!